The Inazuma Sentai is a rock band that made its debut in 2003. The 4 man group hails from Hokkaido. The song, "Oenka" or Fight Song was their second official single released in 2003. According to wiki, Soul Flower Union also known as SFU, is a Japanese musical group formed in 1990, "that incorporates Japanese folk/old style music (Okinawan, chindon) and world music (Celtic, Chinese, Korean folk music) styles into a rock and roll band." The song "Mangetsu no Yuube" (Full Moon Evening) was a song dedicated to survivors of the Kobe Earthquake on 1995. Two versions exist, created by people from two different music groups, Nakagawa Takashi from Soul Flower Union and Yamaguchi Hiroshi from Heatwave. Soul Flower Union's version's lyrics were made by Nakagawa who is from Kansai where the disaster happened. The Heatwave version was by Yamaguchi who is from Tokyo (watch it HERE). Japanese wiki says, "the difference between the two songs is their feeling towards the disaster. Soul Flower Union is singing about the hope for the future and Heatwave is singing sympathy towards victims". It was also featured in the drama special "Radio". The Stalin was an 80's punk rock band formed by vocalist and leader, Endo Michiro. "Makeinu" was from their second full-length 1982 album, "Stop Jap", rated by Rolling Stone Japan "as #27 on their list of the 100 greatest Japanese rock albums of all time". 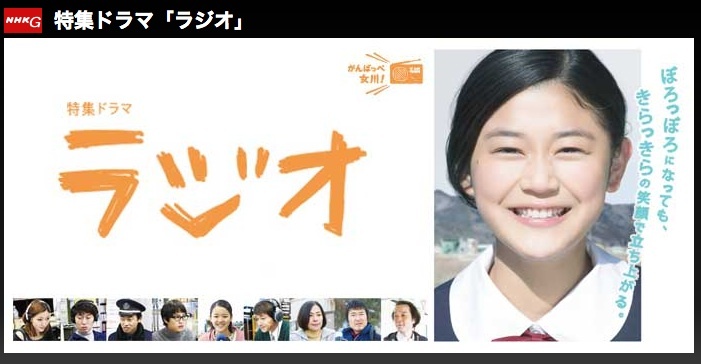 It was featured in the drama special "Radio". Radio (NHK Drama Special, Winter 2013) takes place in Onagawa, Miyagi Prefecture, one of the many coastal towns that were devastated during the 2011 Great Tohoku Disaster. "Onagawa Saigai (Disaster) FM", a provisional radio station, was set up to give valuable information and cheer to members of its community. Thousands of residents who had left town also listen to it through webcast. Based on a real-life story, the drama features the events ten months after the tsunami. A local high school girl nicknamed "Boh," (Kariya Yuiko) which means "anonymous", shuts herself up all day inside her family's temporary resettlement unit home, playing rock music with her electric guitar. Her mom (Nashima Naomi) is worried about her, and enlists the help of a childhood friend, Kunieda (Yoshida Eisaku), an owner of kamaboko shop. Kunieda is able to make Boh do volunteer work for Saigai FM. Clumsy and shy, Boh has an awkward start as an announcer, and thinks of quitting. However, she receives messages of support from a listener in Tokyo, Tobimatsu (Lily Franky), who is thankful for the rock music she plays, encouraging Boh to continue. She also soon opens up to her co-staff members (Ando Sakura, Arai Hirofumi, Natsui Runa, Fujiwara Kaoru) at the radio station. Boh has also started a blog, as suggested by her father (Toyohara Kosuke), who knows that Boh expresses herself better through writing than speaking. Original story from "Boh-chan." Radio is one of the recipients of the "Best Single Drama" from "Tokyo Drama Awards 2013" and "50th Galaxy Excellence Awards." This SP also features songs "Oen Ka" by Inazuma Sentai, "Makeinu" by The Stalin and "Mangetsu no Yuube" by Soul Flower Union. These subs are retimed and synched with both files uploaded in d-addict (torrent link below). Change the subs' file name to match the raw file used. For those learning Japanese, we also included a bilingual version with both English and Japanese subs. Subs are available in .srt and aegisubs format. We recommend the aegisubs version. Only simple fonts are used (Arial, Tahoma). For best viewing results, install/use the latest version of VLC. Onagawa, Miyagi Prefecture. It is a port town located in Oshika District, Miyagi Prefecture, Japan. 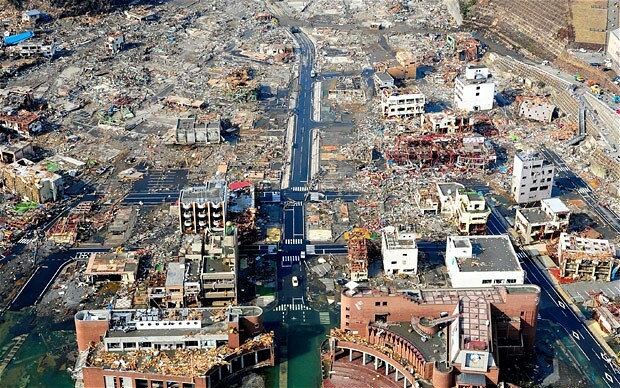 According to wiki, the town was seriously damaged in the 2011 Tohoku earthquake and tsunami, with waters reaching 15-20 meters in height "and swept 1 kilometer (0.62 mi) inland, destroying the town center and leaving over 1,000 people missing, with over 300 confirmed dead. At least 12 of the town's 25 designated evacuation sites were inundated by the tsunami." Population in January 2011 was estimated to have been about 9,700 people. The town's main industry is fish processing industry, and aquaculture, with a focus on pike, bonito, oyster, and silver salmon. More than 35% of the population is said to be elderly.